This is a fun and fascinating full day tour, very different from the many other day tours offered in the area as we begin with a visit to Parque de la Papa, or “Potato Park”. Collecting you from your hotel at around 8am we drive to the park, which is nestled in the hills high above Pisac in Peru’s Sacred Valley. Potato Park is an ecotourism attraction created to promote the preservation and sustainable use of potatoes! As well as providing a fascinating insight into local agriculture, there are also spectacular views far out into the valley. We will be entertained by traditional musicians and we will have the opportunity to talk with local crafts women about their use of medicinal plants in their products. It really is a unique way to spend the morning. Next we take a drive past agricultural terraces to the Pisac Archaeological Park, a hilltop Incan citadel. Here we find ancient temples, plazas and the Intihuatana; an early stone structure thought to have been a sundial. The views from this point look out across the Quitamayo gorge and the surrounding valley, and so the photo opportunities are spectacular. It is also the perfect spot for the delicious lunch that our local chef will have prepared for us. 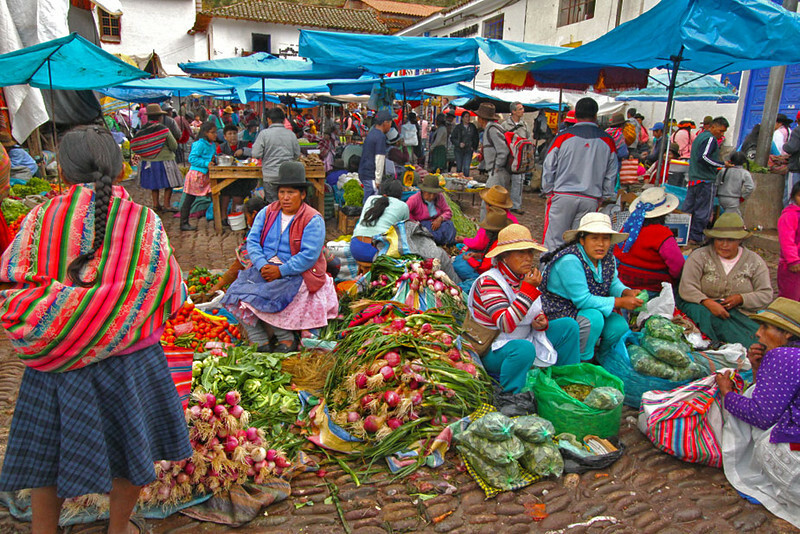 The town of Pisac is famous for its lively handicrafts market in the main square, and this will be our final stop of the day giving us the perfect opportunity to mingle with the local artisans and maybe buy some authentic local souvenirs. 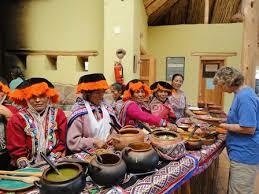 Finally we will drive you back to your Cusco hotel, arriving between 5 and 6pm.